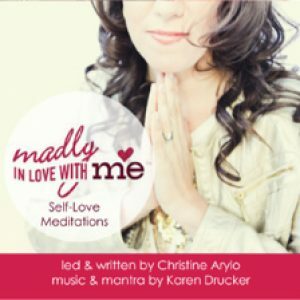 Each meditation includes a powerful-guided visualization, a daring act of self-love, and a unique Love Mantra to assist you in giving yourself the exact kind of love you need from self-compassion to self-care to self-empowerment and more. Based on the best-selling book, Madly in Love with ME, and the international self-love program, The Love Club, by Christine Arylo. Mantras and music by internationally acclaimed singer and songwriter Karen Drucker.